Partners of the RenoZEB project recently met in Bilbao, Spain to attend their second General Assembly. 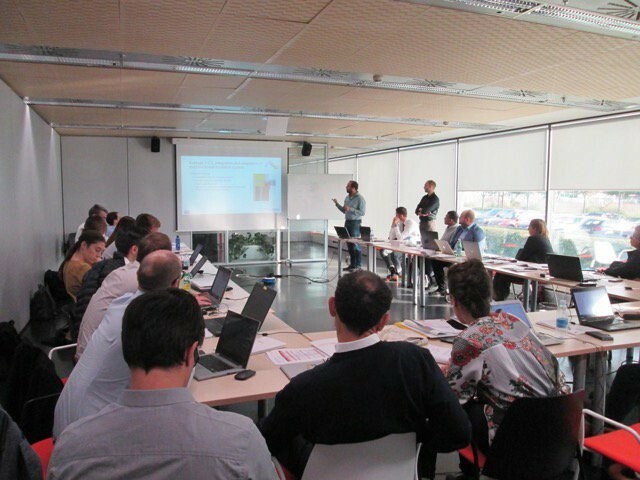 The event, which took place from 23-24 October 2018 was held at partner headquarters, TECNALIA and included 29 delegates from 19 European partners. Prof Terrence Fernando and Dr Zafer Ozturk attended the two-day event and presented research findings and key achievements within their work packages. They highlighted how the RenoZEB lifecycle can be implemented throughout wider renovation processes, before confirming the next stages to be developed by THINKlab. The team presented a holistic approach which explained the workflow of activities within each one of the project’s life cycle, and covered the plan, design, construction and management including a selection of environmental and social KPI’s with the financial and energy aspects. The approach defined the actors and stakeholders involved in performing these activities, the input/output and the visualisation output. The Information Delivery Manual (IDM) was used to specify the process and workflow activities, actor/stakeholder involvement, the application of tools, and the information created, consumed and exchanged. 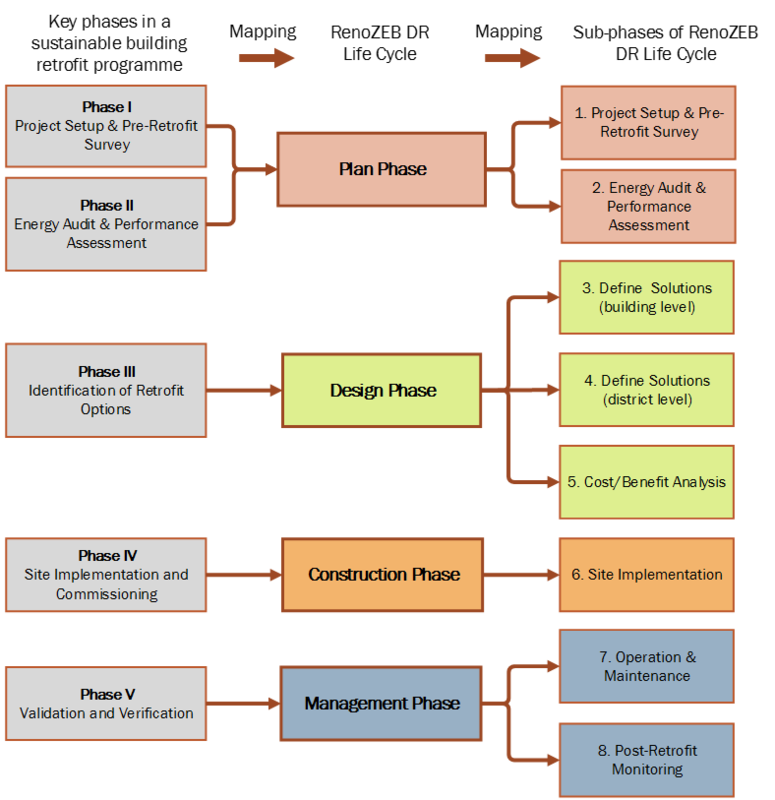 It considered each phase of the Deep Renovation (DR) life cycle (plan, design, construction and management) and the value chain through its stakeholders for each phase to reach an optimum cost/benefit ratio. The approach is oriented to individual buildings with some consideration to create Active Energy Nodes for future district action. 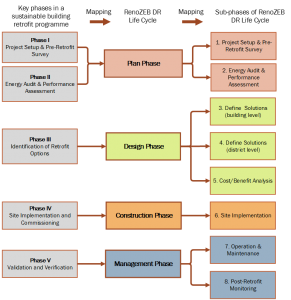 Plan phase: this will focus on preparing the general strategy of intervention such the project set up, per-retrofit survey and define the required data to carry out energy audit and performance assessment. Design phase: this will consist of the activities relate to define various solutions on a building and neighbourhood levels including cost and benefit analysis. Construction phase: this will focus on defining the optimal construction procedures. Management phase: this will focus on defining the procedures for an optimal management including operation and maintenance. The event gave partners the opportunity to visit two case study sites, Durango and KUBIK, where they looked at ways to better understand requirements and fine-tune their approaches to renovation. 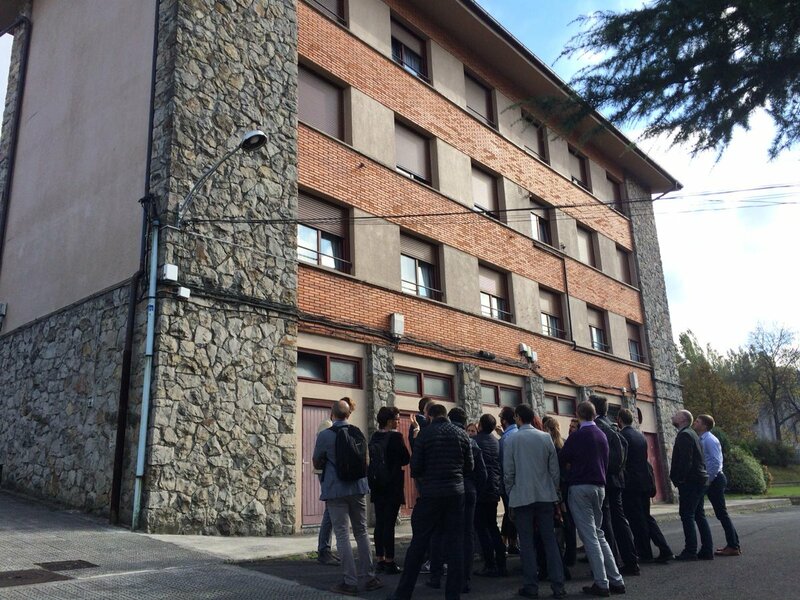 The RenoZEB project targets the nearly Zero Energy Building (nZEB) renovation market by increasing property value through a new systemic approach to retrofitting and includes innovative components, processes and decision-making methodologies. The MOBILISE Project Consortium will organise its second project workshop on “A Collaborative Multi-Agency Platform for Building Resilient Communities” in Kuala Lumpur, Malaysia, on 29 – 31 October 2018. The event is funded by the Global Challenges Research Fund (GCRF) and the Engineering and Physical Sciences Research Council (EPSRC). The workshop is being coordinated by Dr Noralfishah Sulaiman at the Universiti Tun Hussein Onn Malaysia and THINKlab at the University of Salford. Dr Sulaiman is one of the Co-Investigators and is the project lead for the MOBILISE project’s Malaysia activities. Over forty-five government, academic, non-government and business organisations from Malaysia, Pakistan, Sri Lanka and the United Kingdom, are contributing to the workshop which will be held in English. The use of technology for understanding, monitoring, predicting local disasters’ risk and cascading impacts. Michal Cieciura, a Principal Software Engineer at THINKlab, has recently won a funding application from this year’s 2018 Unreal Development Grants. The award is part of the larger $5m development grant by Epic Games which was founded in 2015 to help programmers and studios that are developing the Unreal Engine 4. Michal is one of 37 winners from a variety of teams or individual creators, who received between $5,000 and $50,000 to support the development of their games, tools, broadcast and more. 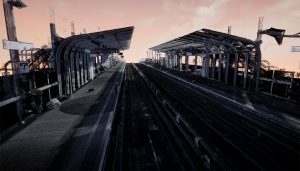 His winning entry is a Point Cloud Plugin, a free plugin for Unreal Engine 4, which he has created to help with importing, processing and rendering point clouds. Currently, the software is in beta and supports desktop and VR platforms. 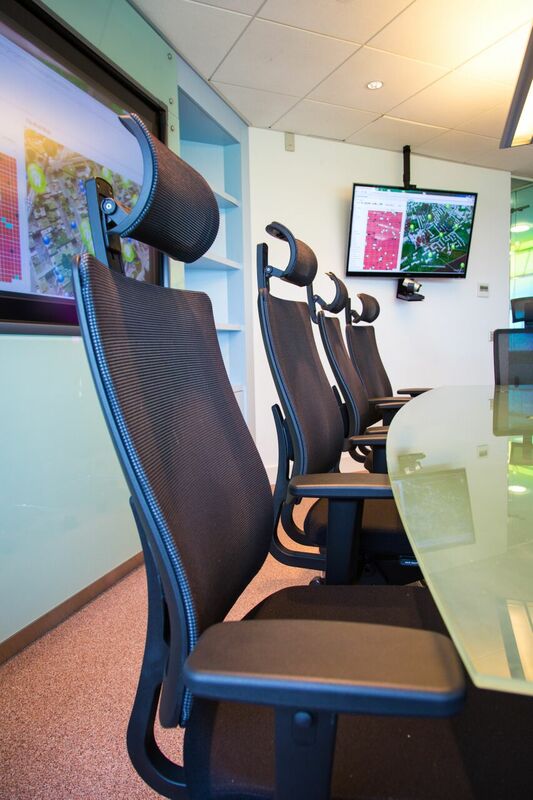 It is already being used for a number of individuals, commercial and academic projects in architectural visualisation, construction & engineering, games & entertainment and landscape visualisation. Michal said: “The plugin originated as a simple tool to aid in one of our in-house projects. I decided to make it a little bit more consumer-ready and release it for free on the Unreal Engine Forums. After it received surprisingly positive feedback, I continued improving it and started recording users’ ideas and suggestions for new features. This eventually led to the creation of a streamlined, standalone plugin which it currently is. Michal was recently invited to an exclusive event in London which was part of Unreal Engine BuildLondon’18 for Architecture. The event showcased how real-time visualisation technology is being used across the architecture and construction industries, enabling architects and their clients to experience projects in full photographic quality and, if required, in mixed reality. The event took place at the Royal Institute of British Architects (RIBA) in London and included a number of high profile speakers from leading agencies including Zaha Hadid, NVIDIA, Soluis Group, Garou VR and Heatherwick Studio. Michal is the Principal Software Engineer at THINKlab working in the Enterprise Team. 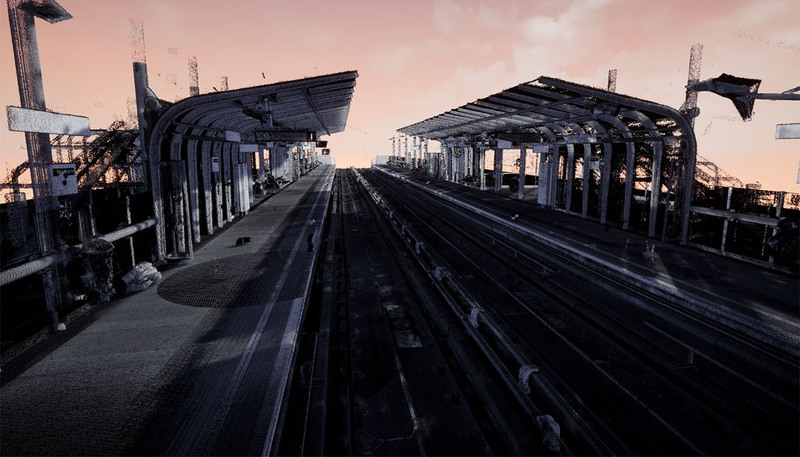 An experienced developer of interactive 3D environments, he has been instrumental in delivering a number of commercial projects for clients including Siemens, Network Rail and the BBC. Outside of work, his personal interest include virtual reality, computer graphics, game engines and weightlifting! 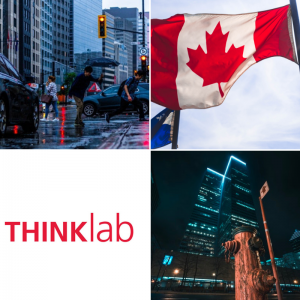 We are delighted to welcome Professor Marie-Christine Therrien from Montreal’s École Nationale d’administration publique and Cité-ID LivingLab, to the THINKlab for a very special event. Taking place on Thursday 11 October 2018, Professor Marie-Christine will deliver a unique lecture on “Implementation of Urban Resilience Governance and Social Capital” which focuses on projects in Montreal and London. Professor Marie-Christine Therrien is a Management Professor at the École Nationale d’administration publique, which is one of the largest public administration universities in the world. 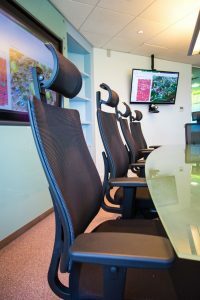 Since its creation in 1969, it has positioned itself as a leader in the renewal of a modern and effective public administration in Quebec and overseas. It has set the standard in this field, in both academic and practitioner communities. 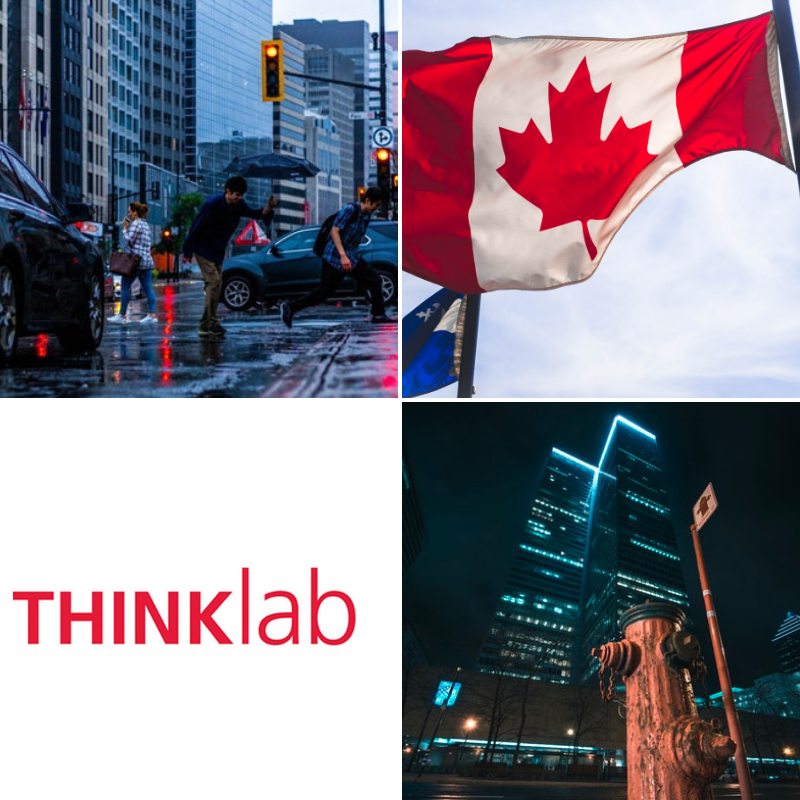 As a Director of The Cité-ID Living Lab in Urban Resilience Governance, the organisation is a collaborative initiative that brings together individuals from across Canada and around the world working on urban resilience. It brings together city managers to private enterprises, non-profit organisations, citizens and academic researchers and is an incubator for new inter-sectoral evidence-based approaches and innovative practices in urban resilience. In the presentation, there will be a discussion on two projects underway. The first is a project looking at enabling strategies and hindering factors in urban resilience implementation by comparing the cities of Montreal and London. The second project looks at identifying enabling factors in two Montreal neighbourhoods to develop social capital as a way to increase resilience to disasters. The event takes place from 11.00am – 12.00pm (inc Q&A session) on Thursday 11 October 2018, in the THINKlab, 7th Floor, Maxwell Building. As part of the EPSRC-funded project, the SoBE team have been travelling the globe building partnerships to make the project as effective and sustainable as possible. 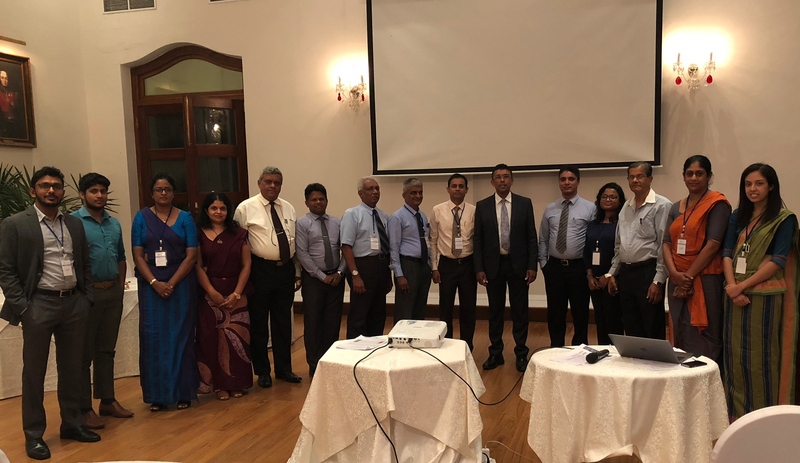 Prof Terrance Fernando, Director of THINKlab, recently attended the Director Generals’ Conference in Sri Lanka to agree on an approach to strengthening multi-agency collaboration for disaster risk reduction. The two-day roundtable conference involved senior government officials who discussed a collective way for implementing the Sendai Framework for Disaster Risk Reduction (2015-2030). MOBILISE at the Geomatics & Geospatial Technology Conference in Kuala Lumpur. 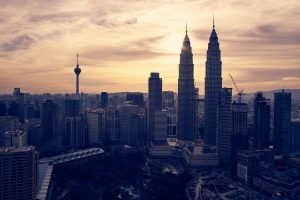 The MOBILISE project will be involved with organising several key workshops at this year’s annual Geomatics & Geospatial Technology Conference in Kuala Lumpur, Malaysia. Taking place between 3 & 5 September at The Park Royal Hotel, the three-day event will focus on Geospatial and Risk Management. 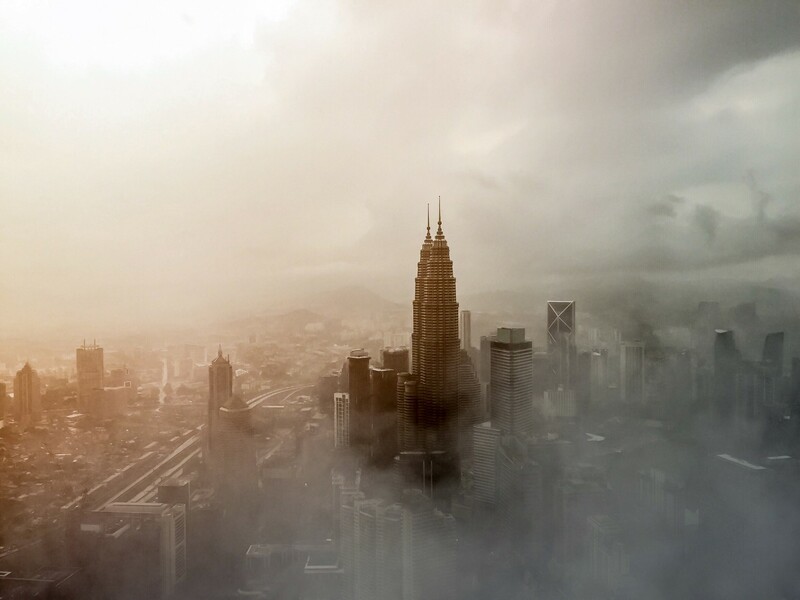 Professor Terrence Fernando and Dr Che Zulkhairi Abdullah from the University of Salford’s THINKlab will present a workshop on Disaster Risk and Resilience as part of the opening day. Professor Fernando will also chair two further forums, which include senior panelists from government, environmental and educational organisations. The second day will see Professor Fernando deliver a keynote speech which overviews the MOBILISE project and the wider stakeholder engagements in Sri Lanka. Dr Abdullah will be part of an invited talk to discuss A Concept for Smart City Systems. The events which support this year’s conference themes will introduce the MOBILISE project to a wider audience, as well as strengthen and update their current understanding. A larger Director Generals’ Conference is planned for October in Kuala Lumpur and aims to start a collaborative approach for disaster risk reduction in Malaysia. Read more about the Geomatics & Geospatial Technology Conference agenda. 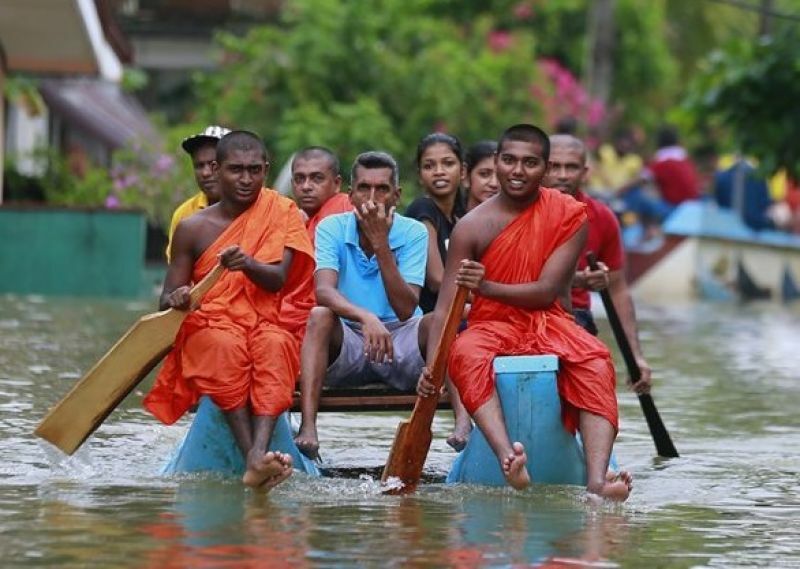 THINKlab’s £1.2M research project MOBILISE, which is developing a digital infrastructure that can offer intelligence to a range of agencies to work together to reduce the impact of natural disasters on communities, recently held a high profile Director Generals’ Conference in Sri Lanka. Funded by the Global Challenges Research Fund (GCRF) and The Engineering and Physical Sciences Research Council, the project focuses on Sri Lanka, Malaysia and Pakistan and is led by Prof Terrence Fernando. The objective of the event was to agree on an approach to strengthening multi-agency collaboration for disaster risk reduction. The two-day round table conference involved senior government officials who discussed a collective way for implementing the Sendai Framework for Disaster Risk Reduction (2015-2030) priority one (Understanding Risks) and priority two (Risk Governance). Held at the Mount Lavinia Hotel on 20 and 21 June 2018, a variety of presentations and panel sessions focused on the nature of a shared disaster risk platform a collaborative multi- agency platform that can be used for building resilient communities in disaster-prone areas, as well as on joint approaches for risk modelling, assessment, mitigation, preparation and response. Designed as a team building exercise, the first day welcomed senior officials and project partners. Prof Terrence Fernando summarised the project and discussed the aims and objectives, as well as the challenges faced by the three low-middle-income countries. Day two opened with a discussion on Understanding Disaster Risks with the aim of defining the nature of a multi-agency shared platform for capturing and establishing a common understanding of disaster risks. Prof Fernando presented ideas for creating such a digital platform to capture risk information (one which can establish a mutual understanding of risks and possible interventions for mitigation). A presentation on a pilot case study was given (set in Kaduwela, Sri Lanka) followed by a discussion on the best ways to establish and prove the feasibility of a multi-agency shared platform in a chosen location. The final session, Risk Governance, analysed collaborative risk assessment, mitigation, preparation and response using the shared platform. A business scenario was used to present the challenges, possible solutions and value and also the key stakeholders that could install the platform along with the required KPIs. The presentation concluded by looking at a six-step risk assessment currently used in New Zealand, Australia and the UK. The successful event culminated with a unanimous agreement regarding the importance of collaboration and a stated willingness to support the MOBILISE team with developing an advanced digital approach for Sri Lankan disaster risk reduction. The project team is very grateful to everyone who came together and agreed to support the MOBILISE project in the future. A similar activity will take place in Kuala Lumpur in October 2018 to initiate a collaborative approach for disaster risk reduction in Malaysia. To understand more about the event and read the full summary, click here.